Alone in the volatile court, Min's hidden power awakens—a forbidden, deadly magic that could secure Set's reign…or allow Min to claim the throne herself. But there can only be one Emperor, and the sisters' greatest enemy could turn out to be each other (goodreads). The Girl King is dense and full of magic every step of the way. Plot: The Girl King took me a while to get through because Mimi Yu painstakingly pored everything into the world, conflict, and character development. Even though it was a long book, I didn't think that there was any fat to cut. 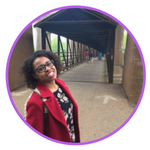 Every interaction was important and showed a glimpse either into historical trauma or the world. The Girl King was told through alternating perspectives and explored all sides of war and the decisions that were made. We got to see who controlled the strings in palace life and the allies that were formed to overthrow a tyrannical king. I was under the impression that this book was a standalone, but the ending left an opening for a sequel which surprised me. There is a lot more to explore, and I'm hoping that the sequel gets picked up! 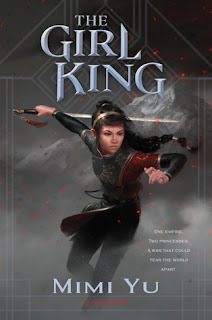 Characters: The Girl King was told from the perspectives of Lulu, Nok, and Min; each character had something endearing about their story lines and I loved how they pushed and pulled at each other. Lulu was the first born child of the king, and trained her whole life to become the king's successor. After her father chose her drug-addicted male cousin to inherit the crown, she set off to mythical places to find unlikely allies to help take back the throne. Meanwhile, young Min found out that she had unheard of powers that could be used to start and end wars. And finally, Nok was trying to survive as the last of his kind and deal with his mixed emotions toward the ruling family. I enjoyed each chapter and especially liked how slow burn Nok and Lulu's love were for each other. Min, on the other hand, was filled with rage and just wanted to leave her sister's shadow. I could understand her desperation to please others and how it led her past the point of no return. Worldbuilding: The highlight of The Girl King was, without a doubt, the amount of detail in the world. There were ethnic groups warring with each other and a mythical group of people who still had access to magic. The level of attention paid to the world reminded me a lot of the adult fantasy novels I used to read years ago. 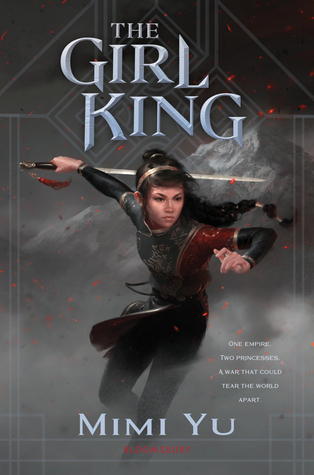 Short N Sweet: The Girl King will appeal to all die-hard fantasy readers who prefer ample worldbuilding.